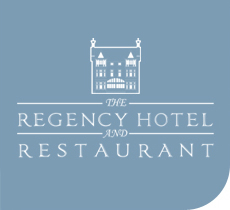 Here at The Regency we have been holding wedding receptions for the last twenty years. The hotel is the perfect wedding reception venue in Leicester for your big day. Our Friendly staff have the knowledge and experience to make sure your day runs smoothly, leaving you and your guests to enjoy a great day. We are Licensed to hold civil ceremonies and Wedding Reception parties of upto 120 guests. We have two beautifully decorated honeymoon suites, with large canopy beds, plasma screens, sofa’s and balconies. We have ample accommodation and car parking for all your guests. We are the ideal wedding venue, just a few miles from Leicester city centre and major motorways. We specialise in tailored weddings and packages to suit your needs and have wedding packages to suit every budget. Civil Ceremony, Wedding Reception, Civil Partnerships, we have it covered. We are currently offering packages at incredible discounted rates, please call for latest details. e.g 50 guests for a set sit down 3 course menu , 100 guests for a set party evening buffet, DJ, room hire costs and a complimentary nights stay for the bride and groom in the bridal suite for a total price of £1995.